Your customer wants to submit a webform and later view or update his data. 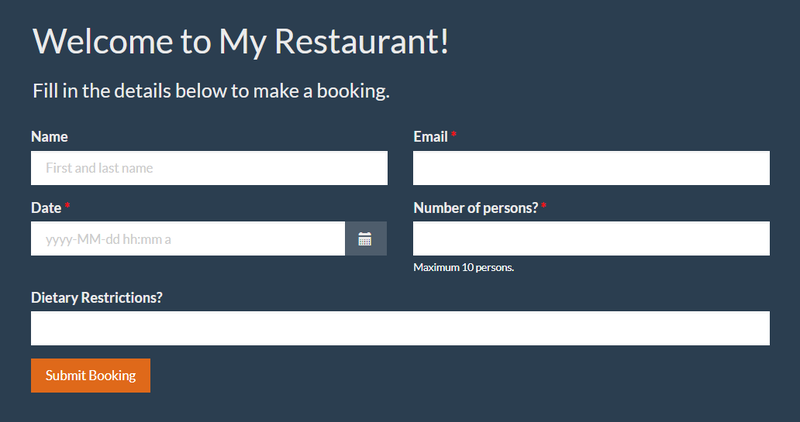 We will explain you how to achieve by using a real-life example: You own a restaurant and people can submit a booking request via a webform on your website. You want them to send a summary e-mail where they can see their booking details and update or cancel their request. 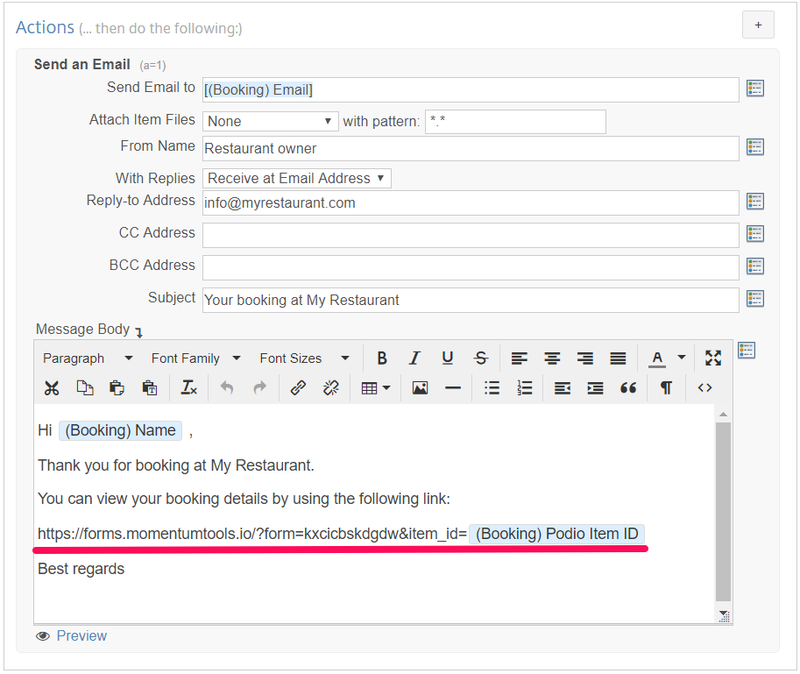 In 4 easy steps we will explain you how you can build this using Podio, Globiflow and Dynamic Forms. 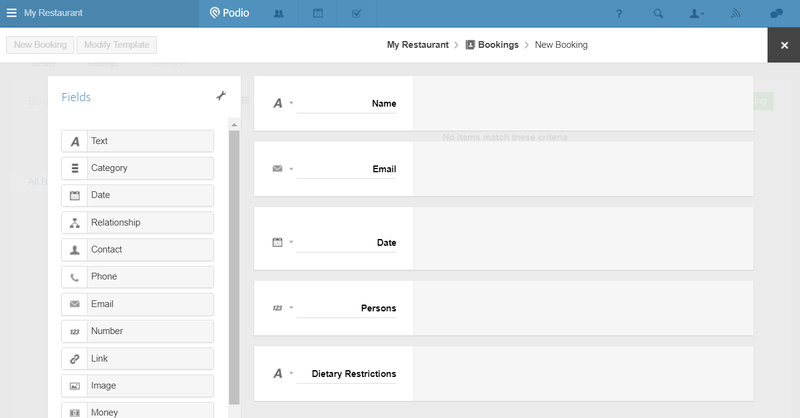 The first step is to create a Podio app to register your bookings. For this example I've added the followiing fields: Name, e-mail, date with time, number of persons, vegetarian restrictions. After the Podio app is created, we will create the first webform. 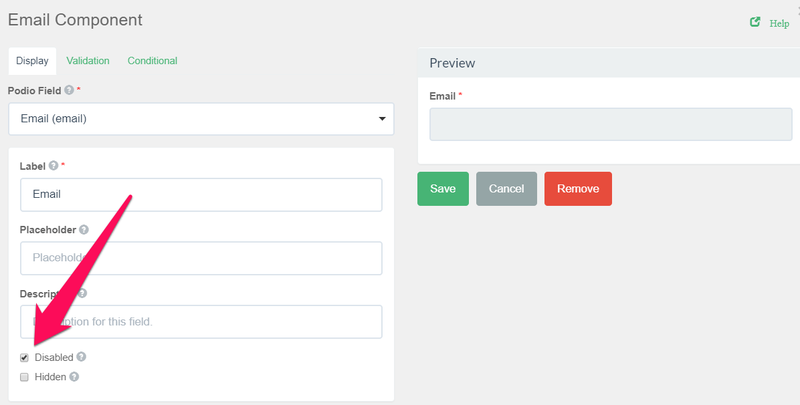 This is the webform that will be shown on your website. Now we want to create a second webform which will be sent be sent to the customer after his first submission. Simply clone the first webform to create the second one. To avoid wrong data input I have disabled the name and e-mail fields. I have also changed the submit button to "Change booking" and added a hyperlink to cancel the booking. In the last step we will add a Globiflow workfow to automatically send an e-mail to the customer. Log in to Globfilow and add a new flow that triggers when a new booking is created.